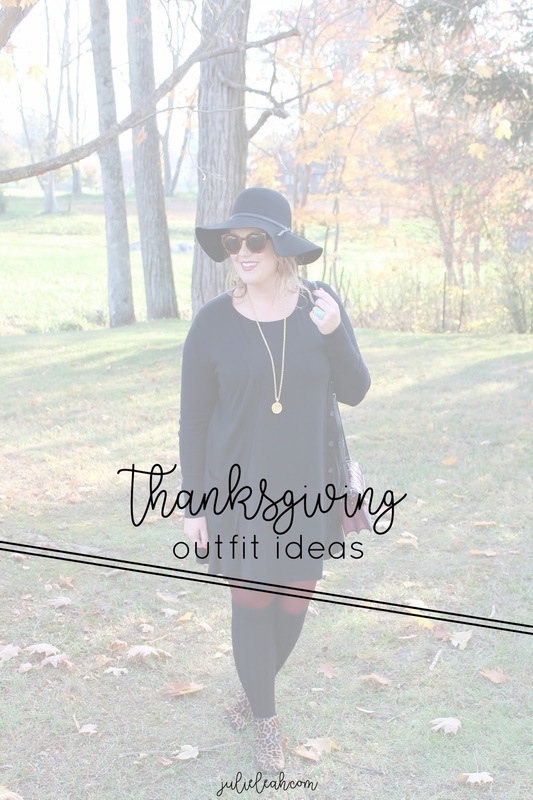 With Thanksgiving a little over a week away, I thought I would share a few outfits to get your creative juices flowing on what you're going to wear. If I'm being completely honest, I would prefer some leggings and an oversized sweatshirt (give me everything stretchy). I know that's not reality, though. I will probably end up in some variation of number three below - skinny jeans and a cozy sweater. The Rockstar Jeggings from Old Navy are a tried-and-true option for me. They have a really wide waistband, they're super comfortable, and they look great paired with oversized sweaters and tunics. I always love to add a pop to any outfit I wear - an animal print, a pair of statement earrings, or a feminine texture. All the looks below feature some of my favorite little details. I hope it gives you some inspiration for putting together your own Thanksgiving look!